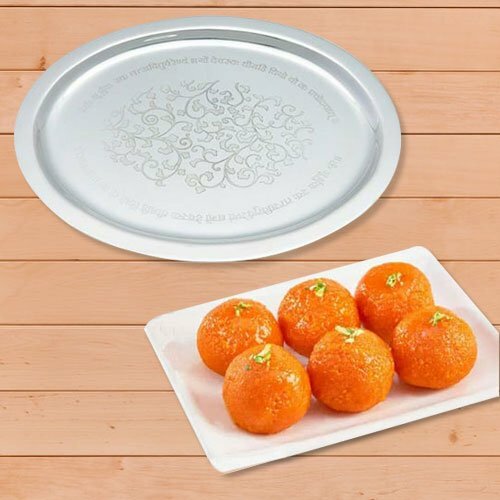 Pure Ghee Laddoo 500 gms. from Haldiram with a Silver Plated Thali ( size: 7-8 inch). Pure Ghee Laddoo 250 gms. from Haldiram with a Silver Plated Thali ( size: 7-8 inch). Pure Ghee Laddoo 1 kg. from Haldiram with a Silver Plated Thali ( size: 7-8 inch).